Composting toilet for Lockerbie Wildlife Trust with standard NatSol timber building. 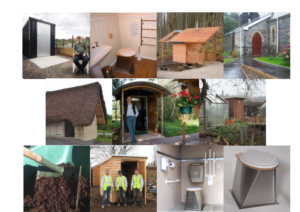 NatSol wheelchair accessible waterless and composting toilets are ideal for allotments, nature reserves, churches, glamping & camping sites, golf courses, gardens and all sites without mains services. View particular sites under Examples. With no water; no power; no smell; no freezing risk and no chemicals, NatSol toilets are widely regarded as the best composting and waterless toilets available. Watch our 5 minute video. NatSol was founded in 2005 by Andy Warren and Nick Grant. Both were unhappy with available products. In setting up NatSol they used their 40 years of combined experience to develop and manufacture the product that they had wanted to be able to specify. You can read customer testimonials and NatSol composting toilet reviews here. High profile clients include The Royal Parks, National Trust, and the Environment Agency. 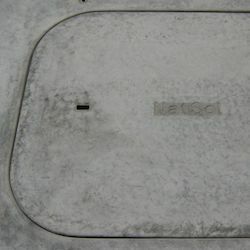 Do NatSol composting toilets smell? We believe that correctly designed and operated compost toilets should smell less than conventional toilets in use. We achieve this without the use of a fan on almost all sites. This means higher reliability and no electrician required for installation. The waterless urinal is also odourless and vented and avoids the use of a troublesome trap or urinal blocks. Our functional standard buildings are designed to blend in on allotments and similar sites. All our buildings are generously sized and wheelchair accessible. 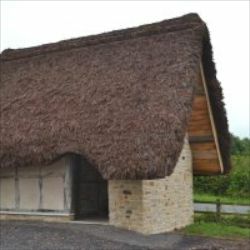 If you want something different then we can provide custom timber buildings, either fully finished or for completing on-site with the cladding and roofing of your choice. Of course you can design and build your own. If one of our buildings won’t do the trick then we can supply the complete toilet without a building. The chamber forms the floor and foundations so you just add the walls and roof. Drawings and a Sketchup™ model are available to download. Please discuss your ideas with us to ensure that loadings are acceptable and that wheelchair accessibility will be maintained. With no requirement for power, water or drainage, our compost toilets are an ideal solution for the most remote of sites. 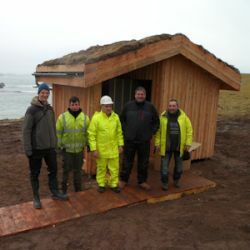 We have installations on a number of islands including this fine example on Handa by David Somerville Architects. 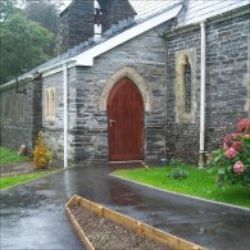 Our dry toilets are an ideal solution for providing facilities in rural churches. They are a silent, frost free, odourless and waterless alternative to the popular Trench Arch system developed by NatSol Technical Director Nick Grant. 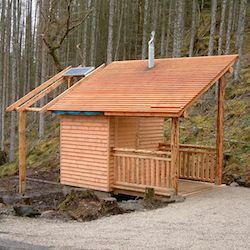 As with SSSIs, nature reserves and other sensitive sites, the small footprint allows toilet facilities to be provided with minimal disruption. Urine separating compost toilets – why and how? 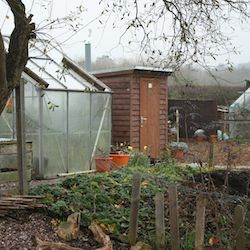 Urine is the biggest challenge for composting toilets in the cold, damp UK climate. We have not found evaporation to be reliable and draining the vault usually requires the chamber to be above ground, making level access difficult. The urine diverting pedestal prevents it from entering the compost, thereby solving a host of problems. 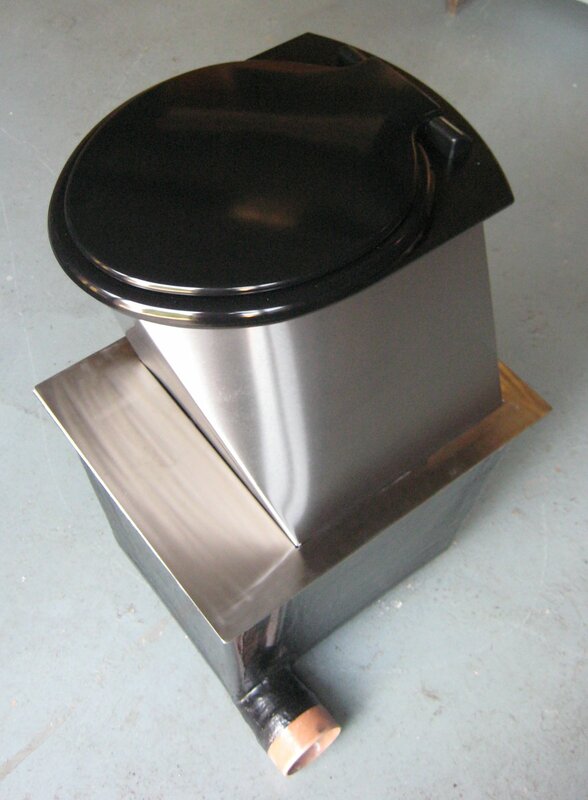 Our unique stainless steel pedestal is common to all our toilets. Other urine separating toilets use a funnel which is prone to blockage by loo paper and worse. The NatSol pedestal utilises the Coandǎ effect, the tendency of fluids to adhere to a smooth surface, you can read the story here. The Full Access Twin Vault Composter has two chambers, each used for a year so that the compost is between one and two years old when removed. 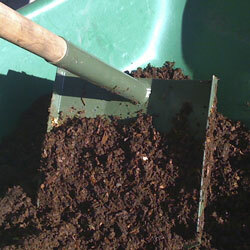 This is the preferred approach for the best DIY compost toilets but uncommon in commercial designs. The combination of urine separation and generously sized compost chambers means that the Full Access Composter can handle peak uses such as parties or weddings. The capacity for continuous use is between 5 and 10 full time residents and we have single toilets servicing 250 plot allotments. Please contact us to confirm capacity for your application. Need a smaller eco toilet? Our Compact compost toilet is ideal for lower use situations and is a very good alternative to a chemical toilet or Porta Potty type toilet. The Compact utilises the same high quality urine-separating pedestal but has a removable container that is emptied into a separate outdoor composter. The Compact is particularly suitable for private installations such as holiday homes, shepherds’ huts and garden studios. NatSol toilets are made from durable hygienic materials for long life and easy maintenance. 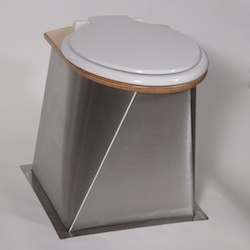 The pedestal is stainless steel and shaped to minimise fouling. There is no water to freeze, no fan to fail and no moving parts. The only consumable other than loo paper is the soak which mops up any stray urine and helps decomposition by keeping the compost pile aerobic. Some installations have run for years without compost removal but we recommend an annual switch over and would suggest you allow two to three hours a year for two people to remove the mature compost and swap over the pedestal. You can download a management booklet on maintaining the twin vault full access toilet. A toilet and building can be installed in one day by an experienced team on a typical site. Machinery is required for at least half a day. 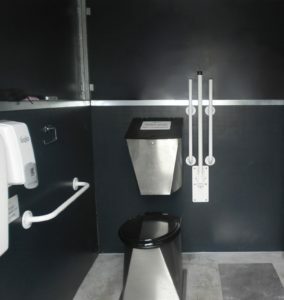 This picture shows a full access compost toilet installation that was completed in 7 hours but it can take a little longer if it is your first, or if the site is tricky or the weather adverse. NatSol Toilets are made in the UK and designed to cope with the British climate.